Thanks to the sometimes-severe weather conditions in the Shrewsbury, MA area, it is common for an asphalt shingle roof to require replacing every 10 to 15 years. Rain, wind, and snow can cause asphalt shingles to lift and tear off, this damage exposes the roof to leaking which can lead to mold, insulation damage, and structural damage of your home. Choosing an aluminum metal shingle roof allows you to have a similar profile for your home without the risk of these damages. A new metal roof installed on the same day offers a lifespan 3 to 4 times longer! Your new metal roof could last 50 years or more! Don’t be hung up on your vision of metal roofing of the past. At Classic Metal Roofs we offer high quality metal roofing in a variety of colors and styles that are sure to boost your homes vision charm! Our standard profiles include aluminum metal shingle roof, aluminum metal shake roof, and aluminum standing seam metal roof! If these styles do not fit your vision for your home we also offer custom fabricated aluminum, copper, ad zinc metal roofs! 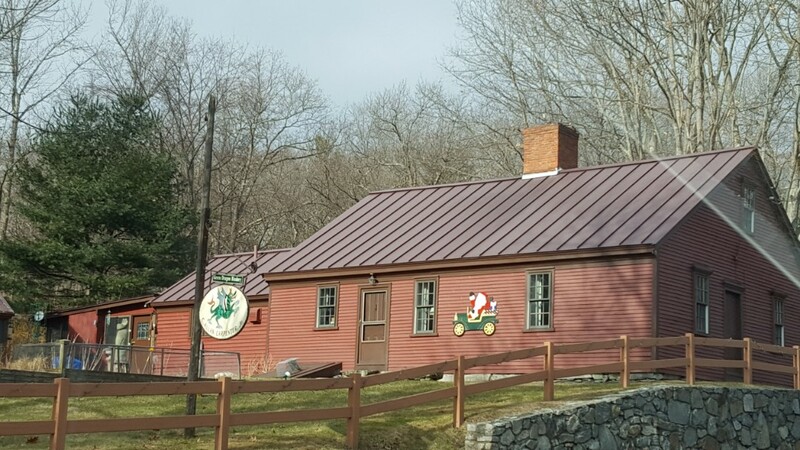 A standing seam roof on this antique home looks great! A beautiful cape with an Oxford Slate aluminum shingle in forest green. Hand locked standing seam aluminum metal accent roofs at the bay window and side entrance. 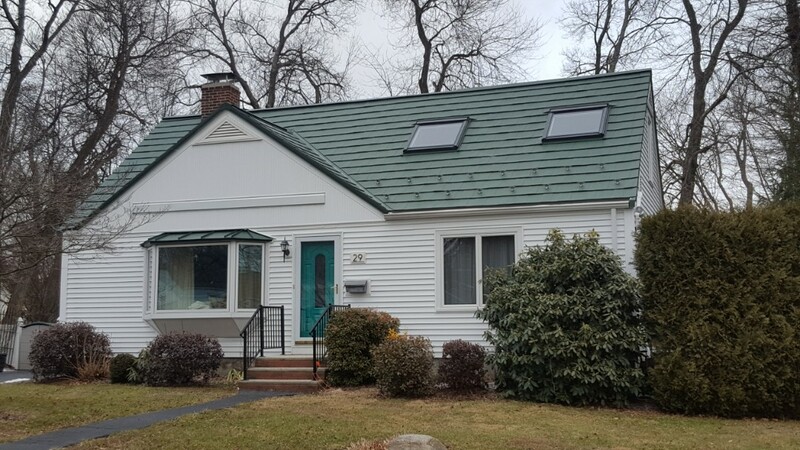 A beautiful cape with a forest green Oxford Slate aluminum roof. Hand locked standing seam accents on the bay window and side entrance.